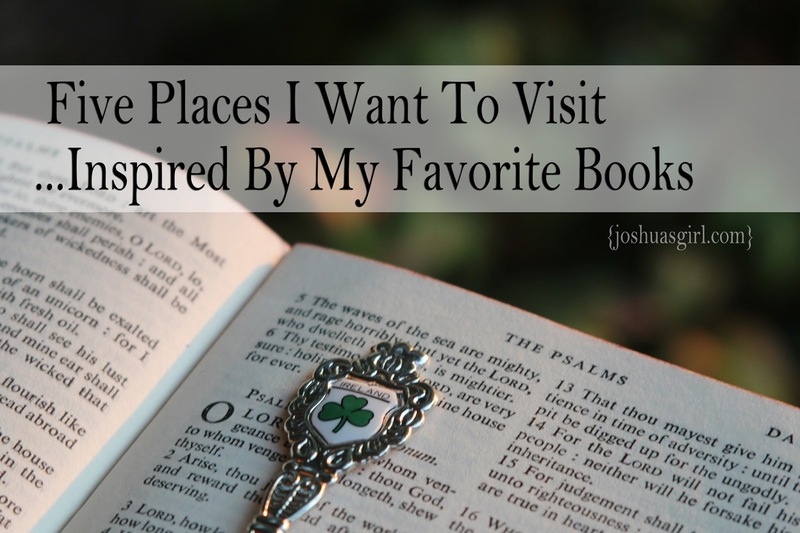 I was browsing some of my favorite book memorbilia on Pinterest, when I realized that many of my dream vacations are inspired by my favorite books. Some of these places I've traveled to before, but I would love to visit them again now as an adult. Prince Edward Island -- This is hands down at the top of my list. Anne of Green Gables is probably one of the most beloved novels of all time. I read the books, watched the movies, devoured the show, and occasionally cooked up "anne inspired" recipes that I found online as a teenage girl. Even now, the movies bring back some of my fondest childhood memories. To walk the shore, and visit the house...well, that would just be amazing. Austenland -- Apparently, there's a cult brewing...and it's a unique one. There are Jane Austen inspired weekeneds & vacations modeled after the books. There are numerous opportunities, but this article shares more in depth information! Oh, Copperfield! -- I may be the only human on the planet that loved David Copperfield (even the most devout Dickens fans didn't like this novel), but for some reason, I found it to be a story that stood out in my mind all these years later. I remember reading it late into the night as a teenager. I'm also a huge fan of The Christmas Carol. Needless to say, visiting the Charles Dickens Museum would be a day in paradise for me! Last, but not least, I would love to visit the Hill Top home of the beloved Beatrix Potter. I loved her books, and still do. I'm slowly working on collecting all the sweet little novels for my girls to read one day. If you could visit anywhere based on one of your favorite novels, where would you go? I literally just finished reading Anne of Green Gables and Little House in the Big Woods, so I would totally love to go to those places too! And I'm a big Jane Austen fan....the movie Austenland was hilarious and makes me think it was be so fun to "live" in that era for a weekend or something.